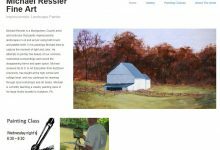 Michael Ressler is a Montgomery County artist and instructor that paints impressionistic landscapes in oil and acrylic using both brush and palette knife. 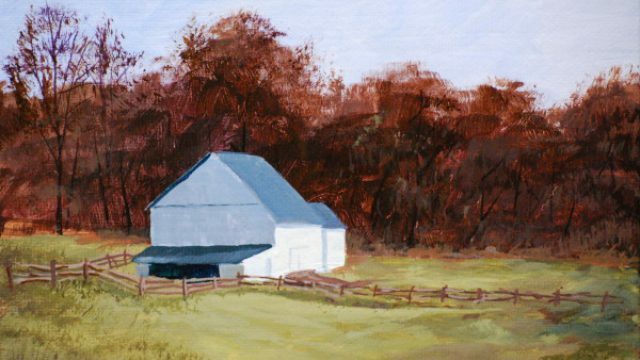 In his paintings Michael tries to capture the moment of light and color. He attempts to portray the beauty of our common, overlooked surroundings and record the disappearing farms and open space. Michael received his B.S. 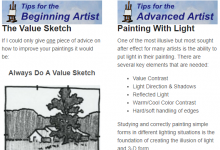 in Art Education from Kutztown University, has taught at the high school and college level, and has continued his learning through local workshops and art books. 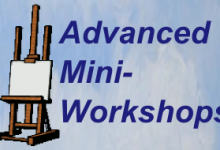 Michael is currently teaching a weekly painting class in his large studio located in Audubon, PA.